President Donald Trump revealed that U.S. troops are authorized to use lethal force at the southern border if they need to defend themselves, after speaking to service-members deployed around the world Thanksgiving morning. The president dispatched nearly 6,000 U.S. troops to the border in recent weeks to bolster border enforcement. Trump justified the deployment by pointing at the advancing caravan of thousands of Central American would-be migrants who want to claim asylum. The caravan used violent tactics to break through legal ports of entry in Mexico, prompting alarm amongst U.S. authorities. The Trump administration recently saw a similar scare of its own after the Department of Homeland Security noted that it had to temporarily close the busiest port of entry between the U.S. and Mexico Tuesday evening in order to reinforce barriers and harden the ports of entry. DHS Secretary Nielsen noted in an announcement on Twitter at the time that the hardening was in direct response to threats from members of the migrant caravan who reportedly wanted to storm the port of entry en masse in order to overwhelm U.S. authorities and illegally seek refuge. Trump has vowed previously that if U.S. troops must defend themselves they will use lethal force. The White House made this policy official Wednesday after reportedly signing a memo which allows U.S. forces to engage in some law enforcement activity in support of border patrol agents and use lethal force. The memo states that U.S. troops can use “a show or use of force (including lethal force, where necessary), crowd control, temporary detention, and cursory search” to protect law enforcement agents and themselves. 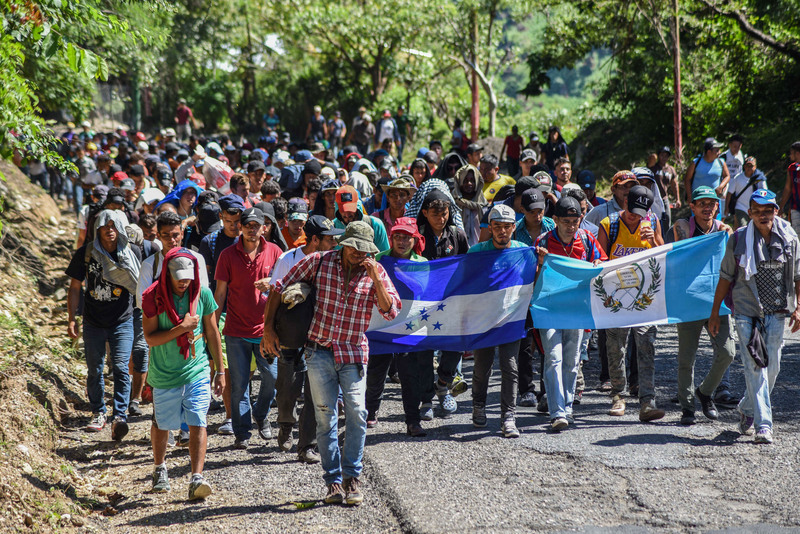 This policy however was refuted by Secretary of Defense James Mattis as recently as Tuesday who told reporters that U.S. troops did not even have guns in their hands and they would not use lethal force if caravan migrants were “beating” on border patrol agents.